Photos: Martin Hackworth, Melisa Moon, Megan Broyles and Tiffany Hansen (IMX staff). 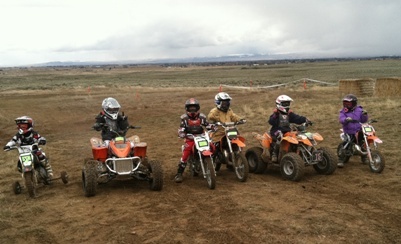 The 2011 IMXBones Endurance series kicked off on April 9 at the Idaho Falls Noise Park. The cold, wet conditions did little to dampen the enthusiasm of the 50 or so racers who braved muddy conditions in the parking lot and infield for what turned out to be a tremendous endurance race on a course in primo condition. The fastest racer of the day on the 6.9 mile loop was Kelly Fisher, of Pocatello, who ticked off 9 laps. The class winners were: Womens B: Jamie Brown, Junior 2: Andy Lenon, Enduro 1 C: Trent Taylor, Enduro 2 C: Bob Hansen, 30+ B: Dustin Morgan, 50+ B: Martin Hackworth, Enduro 1 B: Shayne Hansen, Enduro 2 B: David Hansen, 30+ A: Kelly Fisher, Enduro 1 A: Kevin Donaghy. 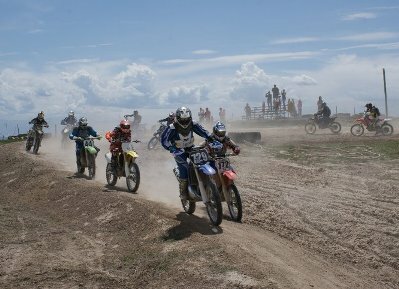 The Peewee class races took place on an improvised course that was short on length but not in excitement as a variety of two-stroke bikes, four-stroke bikes, bikes with training wheels and a couple of atv's dueled in the dirt. There was some skinny passing and fighting for position in the class and we see the beginnings of some decades-long rivalries. 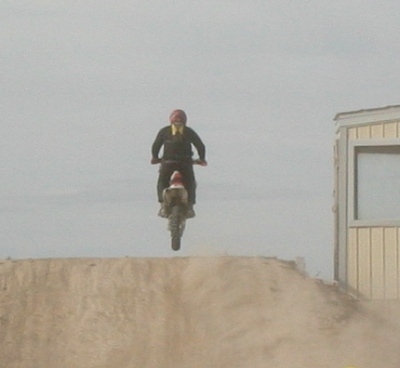 Salute to all of the riders in the Peewee class. The entire IMX crew deserves a great deal of credit for setting up a heck of a course that was well marked and exceptionally fun to race and for putting on an event that drew so many participants despite the poor weather. We'll look forward to seeing everyone again at Family Fun Weekend on May 7th and 8th. 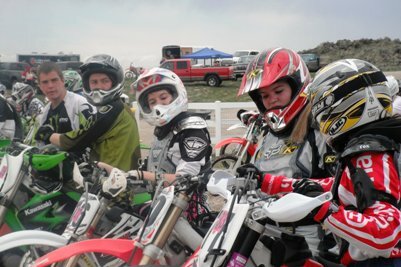 The 2011 IMXBones Endurance series Round 2 took place at the Idaho Falls Noise Park on May 14. The cold, wet conditions that plagued family fun weekend and Round 1 were replaced by cool overcast dry conditions and lots of DUST! All in all fine weather though. The fastest racer of the day on the 6.5 mile loop was David Niehaus, of Pocatello, who ticked off 9 laps. The class winners were: Women's A: Kari Keele, Womens B: Jamie Brown, Junior 2: Jake Lenon, Enduro 1 C: Trent Taylor, Enduro 2 C: Bob Hansen, 30+ B: Kelly Hackler, 50+ B: Martin Hackworth, Enduro 1 B: Will Boulter, Enduro 2 B: David Hansen, 30+ A: David Niehaus, Enduro 1 A: Jason Branson. 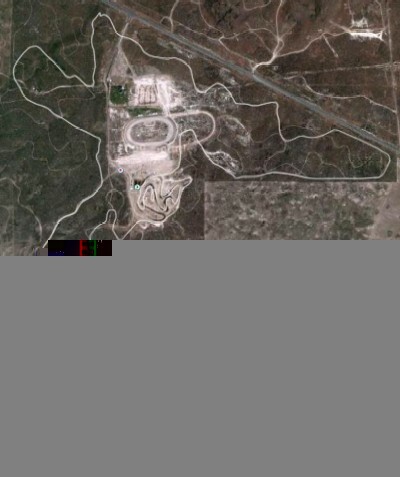 The Peewee class races took place on another an improvised course that featured a layout that changed after the parade lap! That's the way to keep the little gromits honest. Salute to all of the riders in the Peewee class for an outstanding race and excellent displays of sportsmanship. 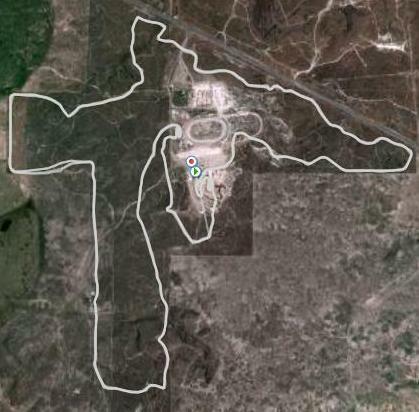 The entire IMX crew again deserves a great deal of credit for setting up a heck of a course that was again well marked (the occasional lost rider nonwithstanding) and exceptionally fun to race. We'll look forward to seeing everyone again at the team race June 18th. Please join us in thanking our 2011 season sponsors: Northgate Transmission, Oswald Service, Herb's Ez-ze Stop, UTV Tech, Stacey's Custom Paint, Shoulder and Knee Center, Guesthouse Inn, Sunnyside Foot and Ankle, Big O Tires, Alpine Ear, Nose and Throat, MotorcycleJazz.com, Advantage Legal Services, 3D Decker Construction, Acerbis, Scott USA, Chaos Motorsports, Motel West, EIRMC, Kingston & Associates, Trane's Diesel, Crystal Snow, Les Schwab Tires, Clarke Tanks, Textwire, Tucker Rocky, Action Motorsports, Bills Cycle Shop, Rexburg Motorsports, KLIM, Marshall Distributing. Race forms available at: Big O Tires, Les Schwab, Shoulder & Knee, Sunnyside Foot and Ankle, EIRMC Advantage Legal Service, Broadway Ford, Bott Yamaha (Randy) Action Motorsports (Randy) Earth in Motion, Crystal Snow.